Blackberry, pepper, and spice–you get healthy doses of each in the 2012 Arpad’s Selection Zinfandel, a great red from Sonoma Valley’s Buena Vista Winery. This wine is named for the third son of Count Agoston Haraszthy, who credited his father for bringing the Zinfandel grape to Sonoma. Be glad the Count did, because this wine is excellent in quality and rich in fruit. His legacy is surely intact in the 2012 vintage. I’m sure there is more than just blackberry in the mix here, because the 2012 Arpad has great subtleties interwoven throughout. My wife and I both remarked on its fantastic, easy finish and its spices when we sampled from our porch on Good Friday, and I (with more than some appreciation) enjoyed it again this evening. 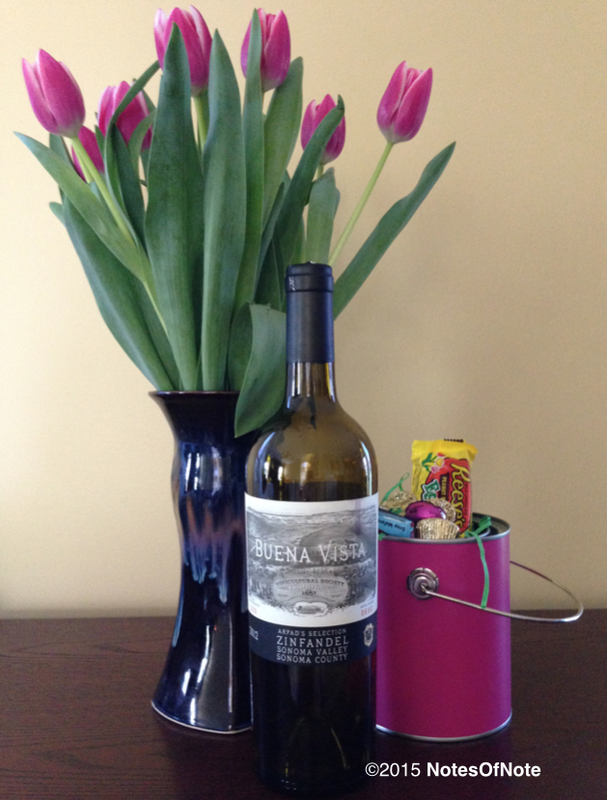 Buena Vista Winery made just 300 cases of this Zinfandel, and bottle #690 graced our home. 2012 Arpad’s Selection Zinfandel, Buena Vista Winery, Sonoma Valley, California, USA. The Arpad’s Selection Zinfandel first accompanied a local pepperoni pizza, and tonight a thick Angus steak seasoned with lots of freshly ground pepper and salt. Dinner included roasted baby potatoes (coincidentally suggested as a good pairing by the folks at Buena Vista) and asparagus, and the Zinfandel effectively complemented the sides. It was best, though, with the pepper and smoke of the steaks–each a solid inch in thickness. This entry was posted in Zinfandel and tagged $30-$40, Buena Vista, Buena Vista Winery, California, california winemaking, Sonoma.